The YMCA of Saginaw knows the importance of community. As a cause driven non profit organization the Y stays focused on the health of individuals and the community as a whole. Did you know the YMCA began as a volunteer organization? The YMCA is a charitable service-focused organization that was started by a bunch of cool British people who wanted to make their community a better place. Now you have an opportunity to make your community brighter through volunteering your time to help your neighbors smile. There are a plethora of volunteer opportunities at the Saginaw YMCA, like: coaching youth sports, demonstrating the YMCAs impact through cause-driven tours, being a role model in our youth development programs or joining one of these monthly volunteer opportunities…. Since 1973 the Saginaw County Commission on Aging has provided many programs and services to meet the needs of older adults, age 60 or older. Their goal is to help older adults to continue living independently in their own homes. Effective April 2019, we welcome their new location to our Y building as a partner in the community. 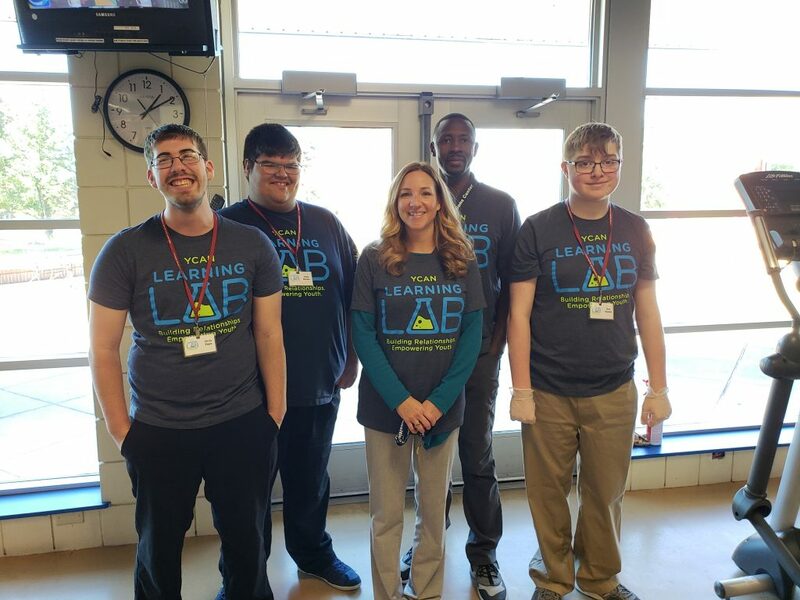 The YMCA of Saginaw and the Saginaw Intermediate School District Transition Center are excited to announce an innovative learning lab partnership named YCAN. The YCAN Program is an extension of the Saginaw ISD Work Based Learning (WBL) Program. YCAN provides vocational training to students through hands-on learning opportunities as well as direct teacher instruction in a community-based location. The mission of the Work Based Learning Program is to guide and empower students in gaining the skills necessary to make responsible decisions that allow them to lead independent, productive adult lives while also providing effective and innovative services, resources and programs that meet or exceed the expectations of our diverse community. Throughout the school year students will be learning as they work in several stations throughout the YMCA. Skills such as customer service, food preparation and maintenance are just a few of the focus areas.